Hook: Lefty Kreh suggests #4/0 down to a #2, but it can be tied down to a #8. Thread: Colour of the body. Tail: Any colour or suitable combination of colours that will compliment the body. Head: Build up a neat head with thread. Our club, the South Coast Fly Anglers have never fished this fly before and Lefty Kreh does not give any details. 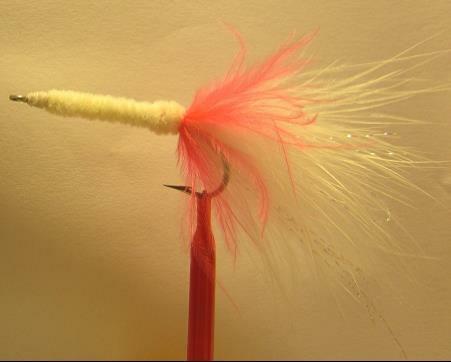 With the built in movement of the marabou, I would think that a pulsing retrieve will give the fly a lot of movement. As far as species goes, any salt water species with or without fins will do! And for freshwater barbel and bass.